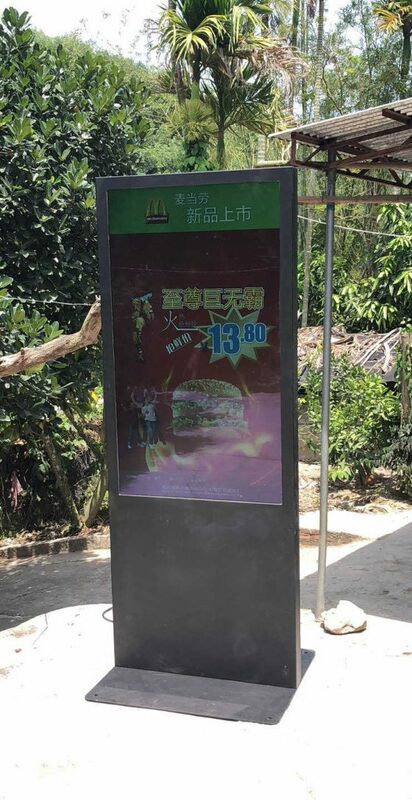 fully weatherproof High Bright LCD Outdoor totem. These 55″ Outdoor Totem displays are certified to withstand the elements in outdoor environments, providing excellent visibility around the clock, even in high ambient light conditions. Built for the outdoors, a true all-weather, IP-56 digital signage totem, designed specifically to withstand the elements and perform in heat, cold, rain, snow and dust. 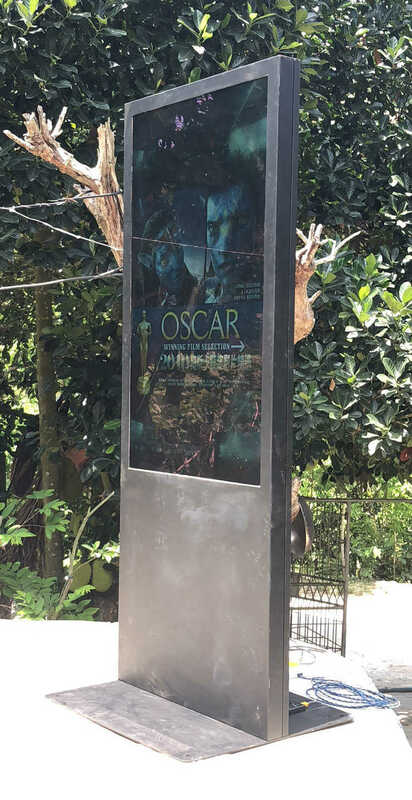 These Outdoor totem displays have a super slim design for maximum screen impact without distraction. 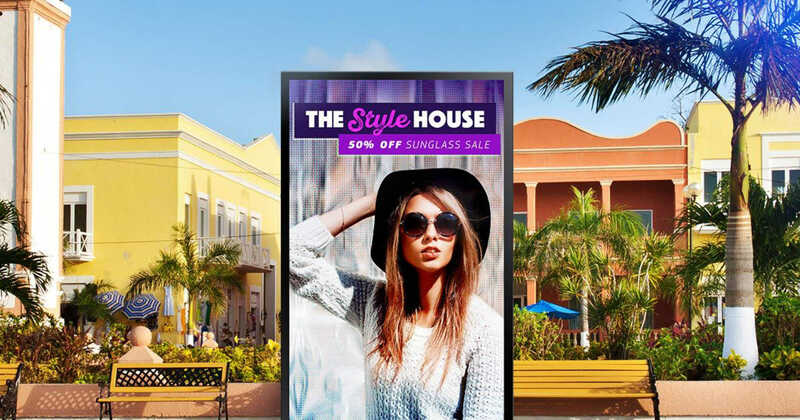 At 3,500 cd/m2, plus a 5,000:1 contrast ratio, this display delivers high brightness for excellent legibility and visibility, even in full sunlight environments. An auto-brightness sensor adjusts brightness levels based on current light conditions. Reduce the brightness at night to optimise content viewing as well as maintaining efficient operating costs for your business. The LCD panel is optically bonded to the glass for improved light transfer. The Anti-­Reflective glass has 100% UV protection and a Nano waterproof coating which provides a self-cleaning surface. An innovative cooling solution helps this display to handle a wide operating temperature range up to 50℃. These totems have been tested in extreme sun and temperature conditions. 65″ & 75″ models available on request.